Now considered a dysfunctional mess, Chicago’s public housing projects once had long waiting lists of would-be residents hoping to leave the slums behind. So what went wrong? To answer this complicated question, D. Bradford Hunt traces public housing’s history in Chicago from its New Deal roots through current mayor Richard M. Daley’s Plan for Transformation. In the process, he chronicles the Chicago Housing Authority’s own transformation from the city’s most progressive government agency to its largest slumlord. Challenging explanations that attribute the projects’ decline primarily to racial discrimination and real estate interests, Hunt argues that well-intentioned but misguided policy decisions—ranging from design choices to maintenance contracts—also paved the road to failure. Moreover, administrators who fully understood the potential drawbacks did not try to halt such deeply flawed projects as Cabrini-Green and the Robert Taylor Homes. These massive high-rise complexes housed unprecedented numbers of children but relatively few adults, engendering disorder that pushed out the working class and, consequently, the rents needed to maintain the buildings. The resulting combination of fiscal crisis, managerial incompetence, and social unrest plunged the CHA into a quagmire from which it is still struggling to emerge. Blueprint for Disaster, then,is an urgent reminder of the havoc poorly conceived policy can wreak on our most vulnerable citizens. Introduction What Went Wrong with Public Housing in Chicago? "Historians and policymakers differ on their explanations of what happened to public housing, but they would be well-served to read the new book by D. Bradford Hunt. . . . 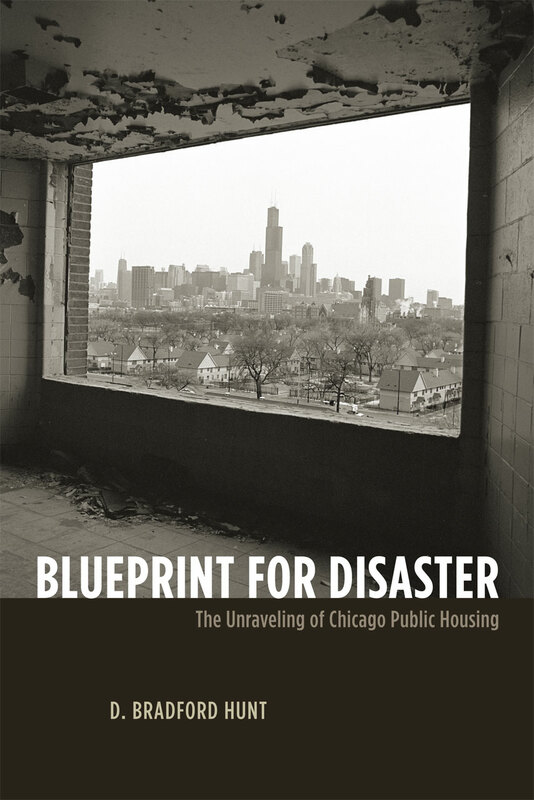 This book is a necessary contribution to the consideration of public housing in Chicago. It adds a new dimension to the debate by pointing to missed opportunities for the CHA to heed warning signs and change course and that policy choices at the local and federal level led to the demise of public housing. . . . No emotional wallop in these pages, just the clear-headed attention to neglected details of a woefully misunderstood part of Chicago history."